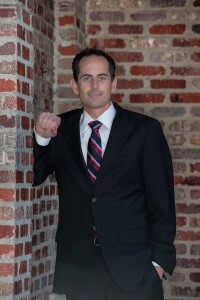 Chad Morgan is an attorney in private practice who assists clients in public law matters. Public law is the law that governs how government operates and controls the interactions between government agencies and the individuals and businesses that deal with them. Chad has represented clients in courts in Alameda, Kern, Los Angeles, Orange, Riverside, Sacramento, San Bernardino, and San Diego Counties and has assisted clients in dealing with government agencies in almost every California county. Chad’s background is in state and local government. While in law school, he served as Chief of Staff for a member of the State Legislature. He has previously worked for more than 10 years as a public affairs and campaign consultant helping candidates and businesses accomplish their goals at all levels of local and state government. Chad is a graduate of Western State University College of Law and received his undergraduate degree in Business Administration from California State University, Fullerton. He resides in Riverside County’s Temescal Valley with his wife and two children, where he enjoys horses, coaching youth soccer, and hiking with his kids.